Asus has now decided to all its customers with its all new EeeBook X205. It is all set to revive the old Windows based, Intel powered personal computer. And this X205 would be just the ideal product for that. Since time, Apple has been putting up its feet in providing meaningful hardware updates to its Mac Book Air Family of Laptops, but still this is not stopping competitions from upping the ante year after year. 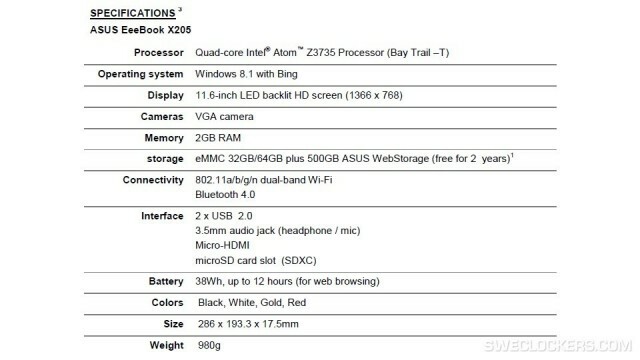 Asus being the latest company has joined the competition with its all new EeeBook X205. The Asus Eee PC single handedly launched the net book and it has provided the first truly portable and ultra affordable computer, putting mobility in the hands of millions. 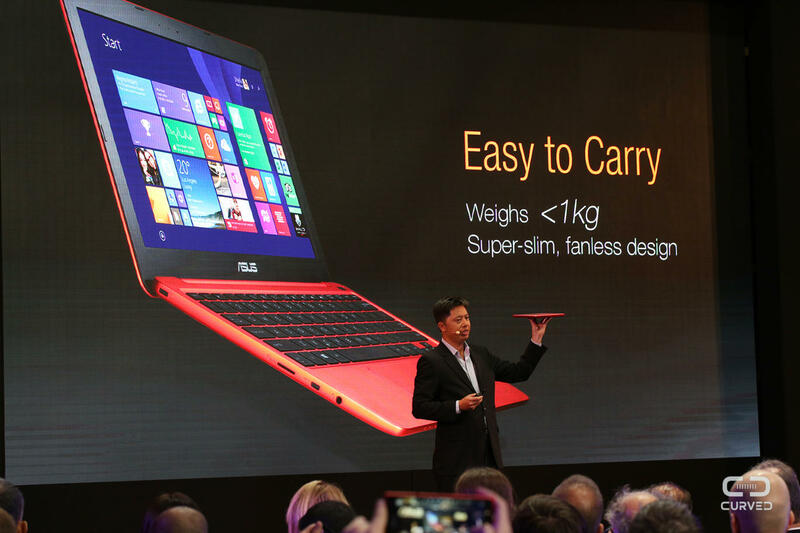 Asus is resurrecting the concept with its new X205 notebook. 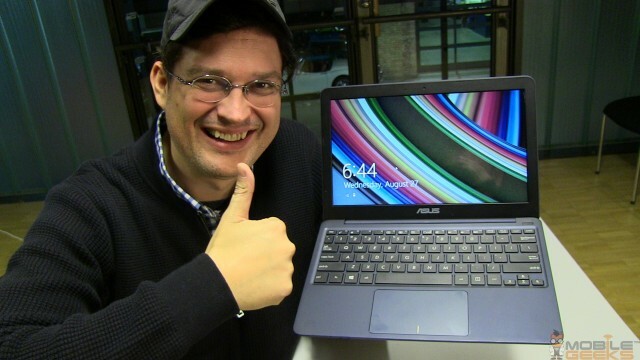 It is a known fact that Asus has been a major player when it comes to notebook. The collection of every small, cheap laptop became popular for a few years from around 2007, before being entirely killed off by the rise of Tablets and cheaper fully fledged laptops. 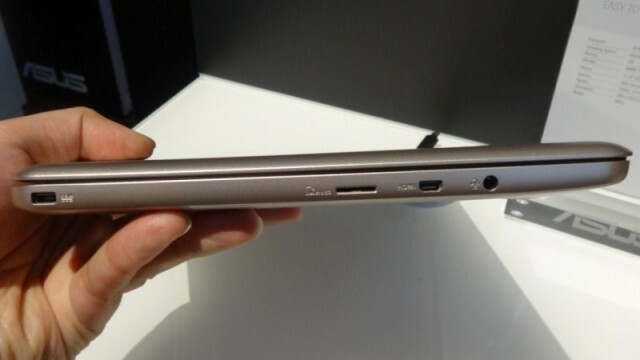 The X205 weighs only 980 grams and comes with a quad-core Intel Atom T3735 Bay Trail processor. With 32 GB of RAM and a 1,366 x 768 LED backlit screen, a VGA webcam, a micro-HDMI socket, this X205 is available in black, white, gold or red and boasts a full size keyboard along with a large pad of keyboard along with a large track pad and its 38Wh battery offers up to 12 hours of web browsing time. When it comes to storage, you can choose either 32 GB or 64 GB of flash memory. In addition to this amount of free cloud space storage, 15 GB of Microsoft One Drive and 500 GB of Asus Web Storage are given for two years. As for the display is concerned, it is bright and decent if viewed straight. At 768p, it provides sharper graphics due to higher pixel density. Asus has taken a large step in taking efforts to ensure that X205 is as slim and portable as possible. With an 11.6 inch display, 17.5 mm depth and 980 grams of weight, this notebook is much chunkier than a tablet but certainly thin enough to comfortably fit inside a small or a large handbag. It is powered by Intel Atom Z3735 processor as I have already mentioned, it is backed up by 2 GB of RAM. This computer is certainly not made up to use it for gaming or editing high resolution photos. This 11.6 inch display has a 1,366 x 768 pixels display which is remarkable. If you are expecting it to be touch screen then definitely you are mistaken. It could have made it more tempting alternative to a tablet but the problem is compounded when you consider the Windows 8.1 Operating System powers this computer which was designed to be provided with a touch screen computer. This X205 will cost you around $200 and Asus being a decent seller; will encourage its users to buy the product.